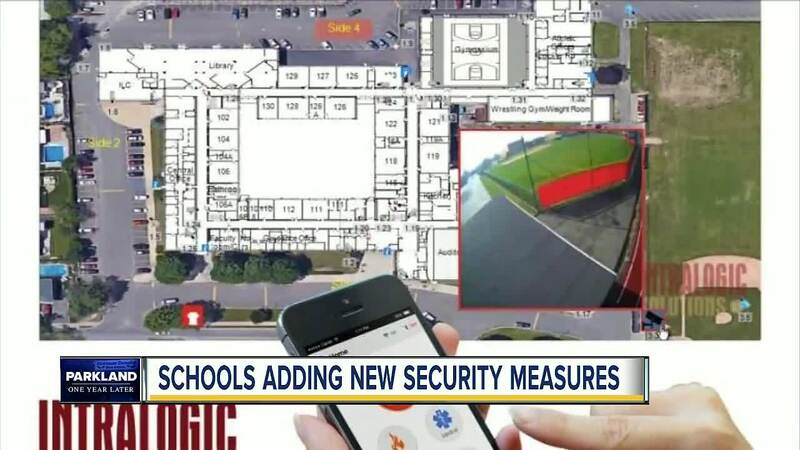 122 public Pinellas County schools are about to get a security upgrade. District leaders signed off on a contract this week to add a security system which will feed live information directly to law enforcement during an active shooter situation or other large scale emergencies. 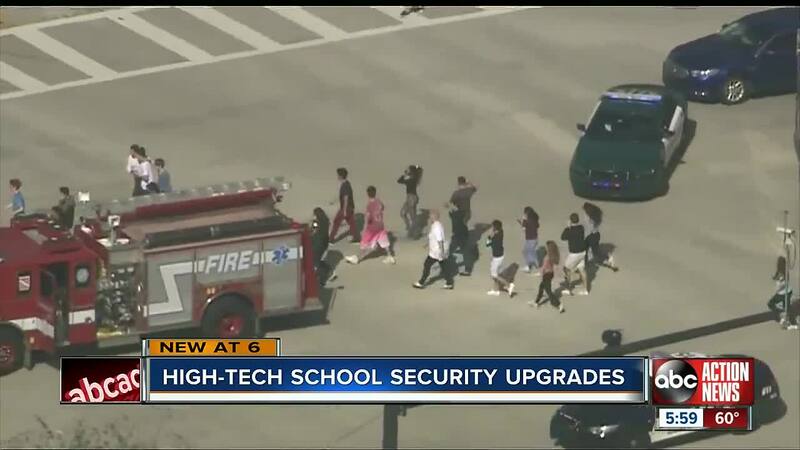 PINELLAS COUNTY, Fla. — 122 public Pinellas County schools are about to get a security upgrade. District leaders signed off on a contract this week to add a security system which will feed live information directly to law enforcement during an active shooter situation or other large scale emergencies. It comes on the same week as the one year anniversary of the Marjory Stoneman Douglas High School shooting in Parkland. The technology from IntraLogic Solutions also features a one-button lockdown system that school staff can use on their cell phones to automatically get in contact with law enforcement and remotely lock campus doors from the inside. Pinellas County spokesperson Lisa Wolf says the district is able to make the upgrades because of a $488,000 U.S. Department of Justice grant. The school board will also kick in money towards the new technology. Pinellas Sheriff Bob Gualtieri is leading up a statewide commission to find solutions to prevent another school shooting. One thing the commission uncovered was how miscommunication between Marjory Stoneman Douglas school staff and law enforcement caused confusion and delayed first responders from stopping the shooter before he killed 17 students and school staff members. Pinellas County Schools Chief of Police Luke Williams says the new technology will prevent similar miscommunication. ABC Action News spoke with students to see how they feel about safety upgrades made in the past year. Emily Handsel, Brenna Dukes and Hannah Mariscal all attend different high schools, they're in different grades, but they share one thing in common: An uneasiness in the 12 months following the Marjory Stoneman Douglas High School shooting. “Thinking this could happen to me as well, it really hit close to home,” explained Handsel, who is a senior at Palm Harbor University High School. “It’s always in the back of my mind,” Dukes chimed in. She's a sophomore at Shorecrest Preparatory, a St. Petersburg private school. "I still don't feel totally safe," Mariscal, a junior at Dunedin High School, added. The three students have spent months advocating for change as part of the "We The Students" movement in the months following the Parkland shooting. All three say security upgrades like these help them feel a little bit more secure. “I think it will help to keep us safe," Handsel explained, "but there are constant reminders of the dangers of school shootings in class. For example, we have marked areas in our classrooms that indicate safe zones. I look at that every day and I get a constant reminder that school shootings are a real threat in my daily life." The Pinellas County students plan to continue to advocate for safety upgrades and legislation alongside their Parkland peers. “We’re proud of everything we’ve done, but we’re not done yet,” Mariscal elaborated.